I've been asking for a "pause for duration X" feature for quite some time, but Eufy has yet to respond. Basically, an option to pause for (e.g.) 5 minutes, 30 minutes, 2 hours, 4 hours, or something similar. That would make my life easy! Scheduling and geofencing wont help with this issue but your answer to Crownfox supports the feature I was looking for. Any time frame when we'll be able to adjust exposure/contrast? Specifically for night? 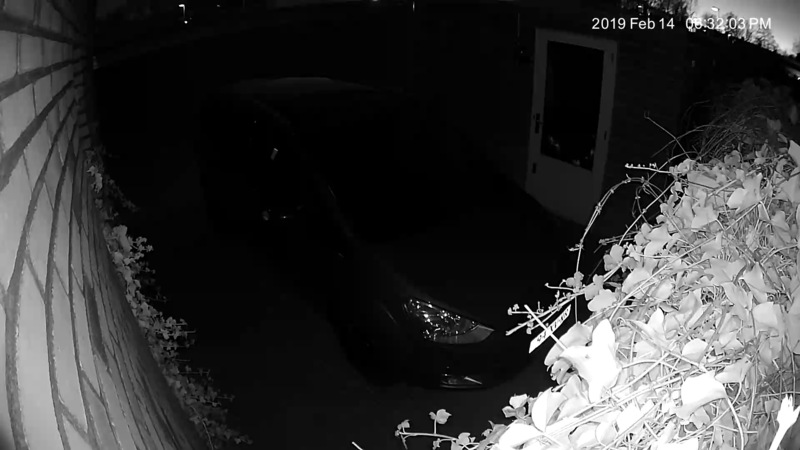 My eufycam's are positioned in such a way that peripheral objects close by are so brightly lit by the IR that the main view in the middle is completely dark/blacked out. I think you should re-position your camera so the nearby objects are not captured or influence the IR focus. I have tried that and resolved the issue. I thought the same too, believe me the camera has 140 deg field of view, it would capture your area even if you move it little further or to the side. As long as you capture nearby objects (even if it sees a wall) the focus is altered. In this instance, you'd want to re position the camera as it does look like the IR is being blocked. Just found this after starting a topic...Glad to hear! Need this Snooze/Ignore feature ASAP! I have just realised that one of my cameras has stopped working due to the battery going flat. This is OK because it gets pretty heavy usage but i am disappointed that I didn't get any advanced warning that this was about to happen and hence I have been with out this camera for 3 days before I realised. This is not very secure!! We should get a warning notification that the battery is critical when it gets down to a certain level. Would love to have the feature to activate a push alert/activate a camera (only) if noise/voice/sound gets detected. For example if you have a baby sleeping in the living room you get a notification as soon as it starts crying but not if it is just moving in sleep. Other scenario: burglars are trying to force open a gate and this should already alarm me. Would love to have the feature to activate a push alert/activate a camera (only) if noise/voice/sound gets detected. 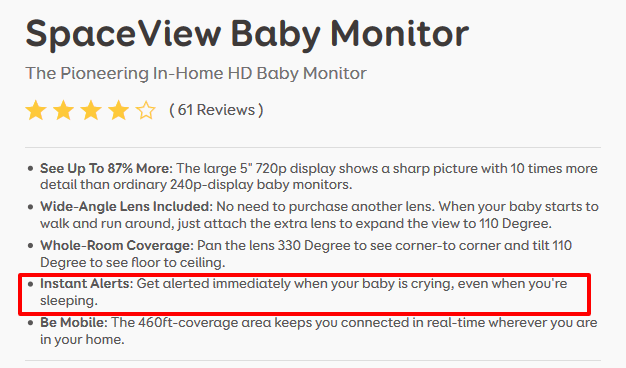 For example if you have a baby sleeping in the living room you get a notification as soon as it starts crying but not if it is just moving in sleep. eufy cam is still a video security cam and not a audio guardian. Yes, that's nice, but I bought a camera for 400€, which also has the technical requirements for audio guarding. May be this will be added to feature list after fulfilling the basic and promised features on priority. For now there is no scope for it I think. which also has the technical requirements for audio guarding. Technical possible it is, sure. ...but is only promoted as "two way audio" for communication reasons. When will this feature be accessible. I am waiting for that too. Right now it’s highly based on the app. Would love to use the desktop web portal to monitor, control, download the videos. When needed. At this time log in to only one device is permitted. And no access to the vids on SD Card through web portal. I know it’s coming but taking little too much time to work on these upgrades which have be to available since the release. Monitor and manage all devices from desktop PC When will this feature be accessible.Most wanted. Want me to add this to my TODO-List @Hmee ? But i doubt anything will happen or realized as eufy did not even answered or commented after months(!) and most of the requested and listed features and items will probably never been realized. Hope is melting like ice in the hot sun. The really sad and disappointing is, that most of the listed points are quite easy and fast to realize! Like beeing able to edit and move the timestamp position, color, format or even to be able to see unseen/unopened videos marked in any way (like bold) which will help on highly used cams enourmously, and many more little improvements we are waiting for since half a year already!